Use this tool to explore to find new and upcoming niches and the best keywords for the niches you’re already in. This is web­-based software that lets you see the most profitable niches that are trending each and every day. It’s simple, versatile, and powerful. The data includes a difficulty score as well as information about the traffic value and estimated ad value that ranking on page one might bring you. Awesome. 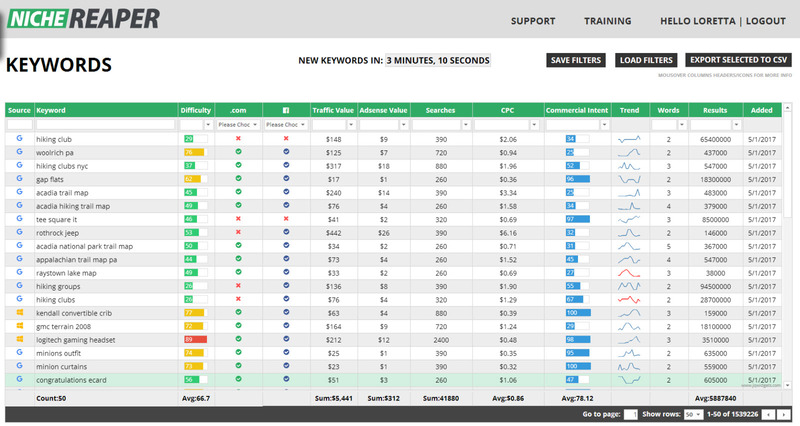 You can browse the day’s trending keywords or use it like you would any other keyword tool and look for specific things that you want to create content about. If you want to build a niche website that earns passive income from ad revenue sources (like Adsense) then you NEED this tool in your kit! 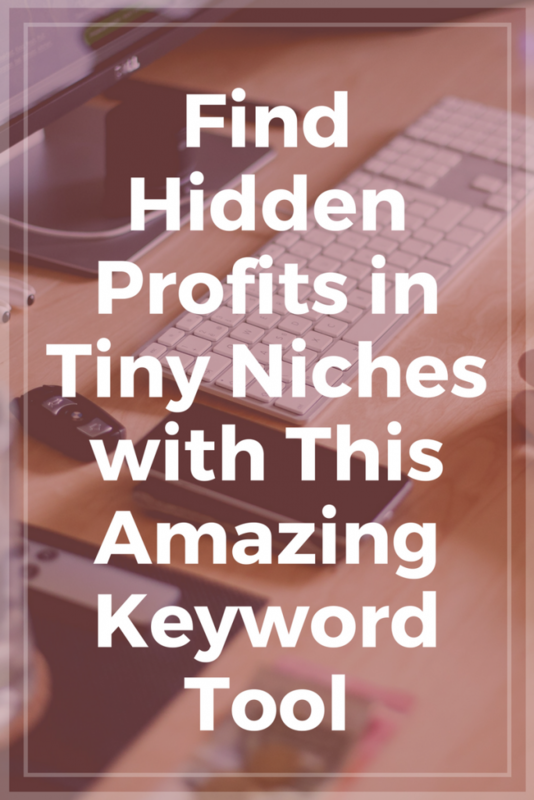 It’s brilliant for finding the high paying keywords that are also easy to rank for. A single article for just one of the keywords I found in this tool brings about 20 visits a day to VAhelper.com and I didn’t do anything other than write a blog post. It started ranking within just a few days of being written, because there was almost no competition for that keyword. While that doesn’t seem like a lot of traffic, the page has ad network blocks on it and the payout that one article brings each month with just that bit of traffic is pretty nice. It was the perfect combination of easy to rank for keyword and high paying ad revenue. Click here to get started using the NicheReaper Keyword Tool today!